How to create a brand using small printed products? For a new business, it is essential to build up your brand. There are several ways you can go about this. But one of the simplest, and most effective ways is to put your company’s logo on everything. Having a recognisable logo is key to building up brand recognition. Take Macdonald’s big yellow M – everyone knows that the M represents the fast food restaurant. They have their logo on everything, from the burger wrappers and drinks cups to the napkins. Even the sauces are branded with a big yellow M. A constant reminder where you got that ketchup from. At Kaizen, there are some products which we print to help you create your own brand. Honestly. Business cards are often the first impression potential clients have of your business. Building up brand recognition is crucial and a clear and professional looking business card, sporting your design, is sure to peak their interest. Not all clients and customers will be handed a business card. After all, you aren’t going to be able to meet every client face to face. But with a branded letterhead, you can be sure that any correspondence you have with them still gives off that professional vibe. Our letterheads are printed on the finest 120gsm uncoated paper, making them perfect for all manners of business uses. They can also be printed double or single sided. Notepads and desk pads are great. Printed on a functional 120gsm uncoated paper, they are perfect for taking notes, writing orders and putting information on. They are not only incredibly useful to keep in your own office, but can be handed out to clients and customers as promotion gifts. If these are branded with your design and logo, your customer will be looking at your brand every time they go to write down a memo. These are the perfect accompaniments to many letters and business cards. A simple thank you goes a long way in the world of business. Make sure your customers know where the compliment slip has come from by having it matching the letterhead. Not only will this raise brand recognition, but the matching pair will also look highly professional. Giving a good impression to those who receive them. We all know that in the world of business, there are times when you have to step up to the mark and make a presentation to someone. Our presentation folders are a great way of not only keeping all of your records and files together, but because they are bespoke and can be printed with your very own logo and designs, will help you stand out as a professional brand. By keeping all your branding consistent, you can be sure that your customers will be able to recognise you as easily as everybody’s favourite fast food chain. 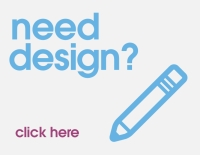 If you need any help with your products, get in touch with our experienced design team.